Chile’s capital can be quite turbulent at times. The seemingly never ending flow of traffic makes you wish you were somewhere high up in the mountains. If only for a gasp of fresh air. From Providencia, one of the city’s busiest avenues, the soaring peaks of the mountains can already be conveniently seen. Why not just go? After taking most of the time consuming preparations we wanted (i.e. buying a car, different story), it is finally time to head off. Fortunately our next stop is not that far away, only a couple of hours drive to the South East. Supposedly. Driving is a little bit different here. There’s a highway (120 km/h) on-ramp made entirely out of sand, to give you an example. After a long series of U-turns, minor traffic violations and questions like: “Shouldn’t we be heading south?”, we made it out of the zona urbana. 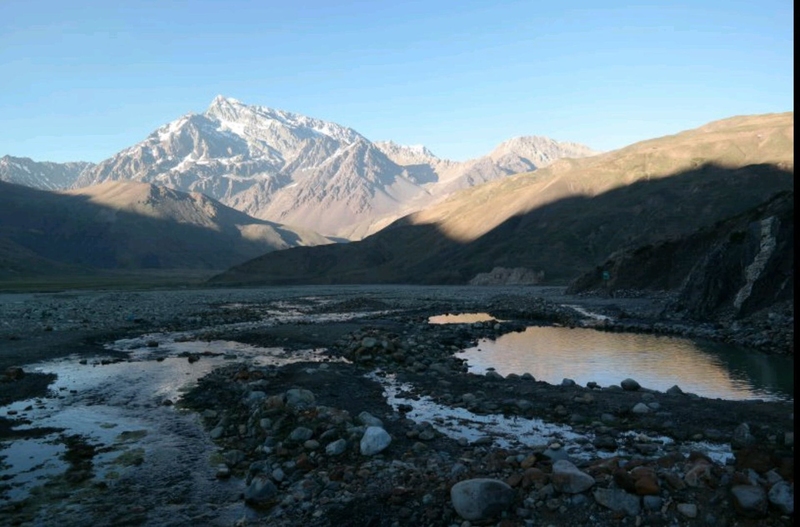 The Cajón del Maipo is a popular weekend destination for santiaguinos, according to the Lonely Planet. Couldn’t have said it better myself. 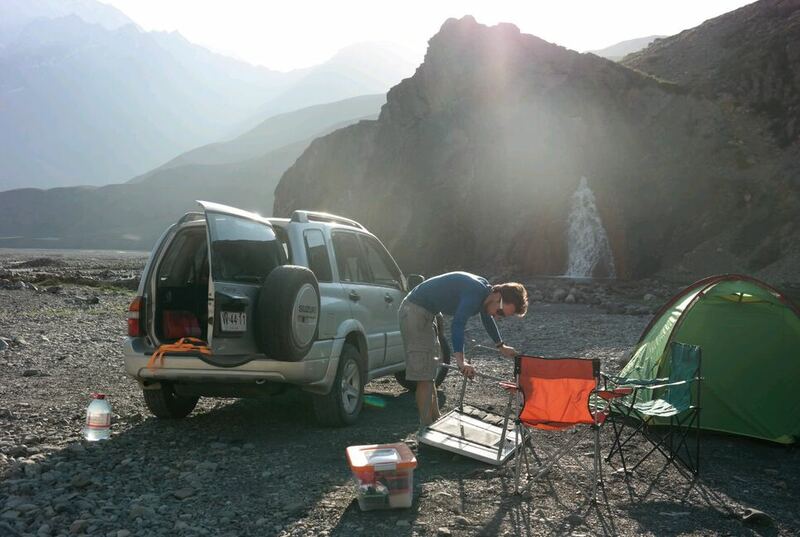 We decide to spend the night at a little campsite in San José de Maipo. Upon exiting the car I apparently decide to drop my phone on a small rock, thereby cracking the screen and to step in a small pile of dog poo immediately afterwards. Terrific way to end the first day in nature for sure. Anyway, we are the only ones around here, and the view is getting better. New day, fresh start. We drive further into the mountains, and stop at the Carabineros (police station) to let them know we’re heading to Termas del Plomo. Apparently not many people go there, so it’s better to let them know. Afterwards it only takes a quick turn the left for the nice asphalt road to suddenly transform into a combination of sand and rock. Time to shift the car into 4WD. Alright, time to take a step aside. Obviously there must be a mining area somewhere up there. 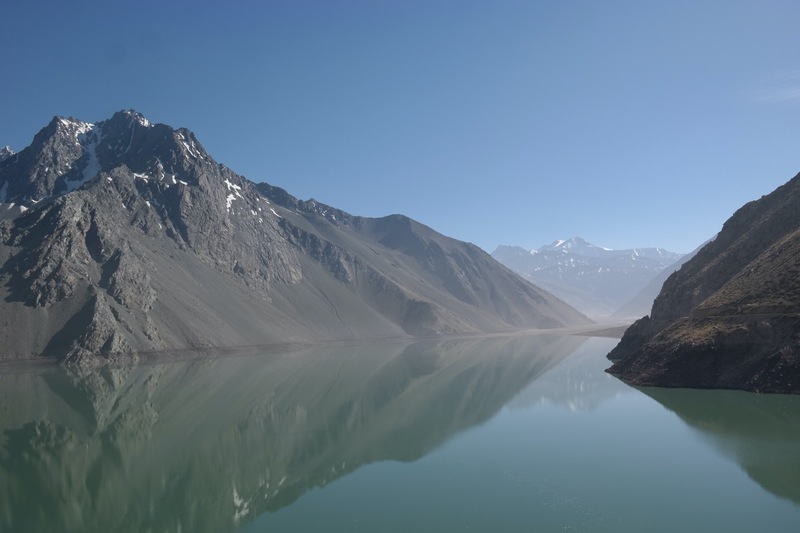 The road continues along a massive lake, Embalse El Yeso. 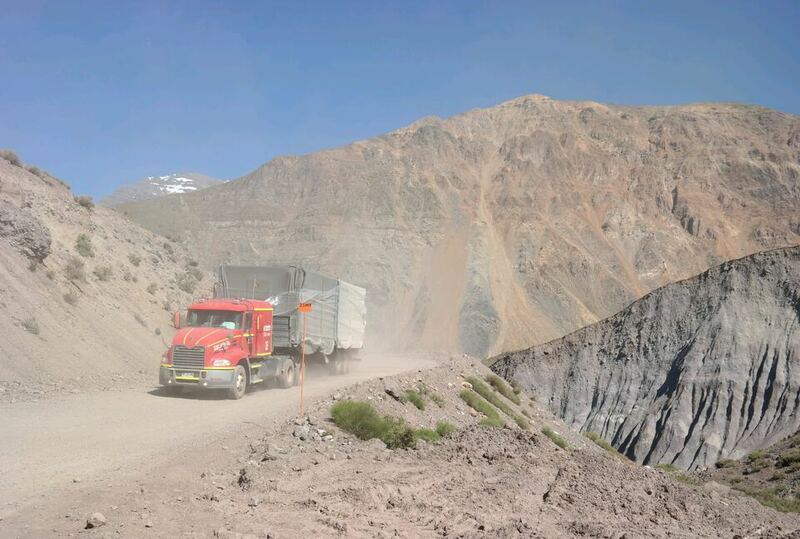 After passing the mining area, the road gets more narrow and rocky. Additionally, the various wild life claiming the entire width of the road at times makes it even more difficult to continue our expedition. 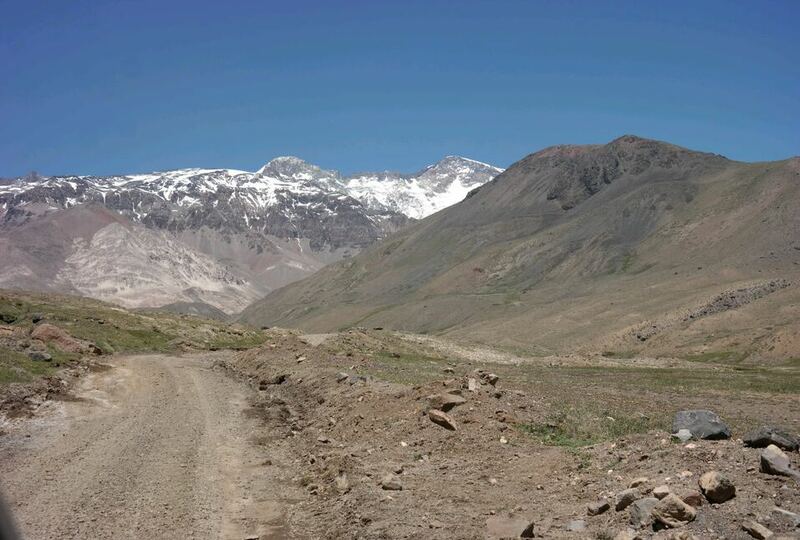 Finally we reach Termas del Plomo, only to be surprised by the lack of anyone around, the low temperature of the air and the high temperature of the water. Whereever you go, always bring some swimming pants.